…or is it a polar bear with a wreath? 😂 Day 2 Christmas countdown. Here is the creative prompt list if you’d like to join in. All mediums are welcome! Use hashtag #adventmcr when posting. 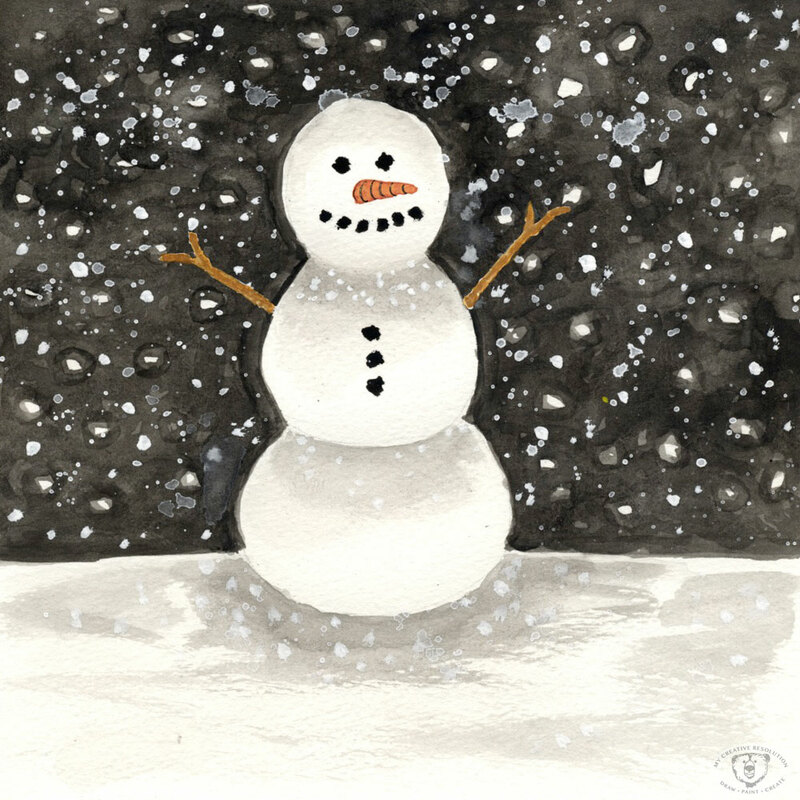 Marion is following along – see her day 2 drawing here. 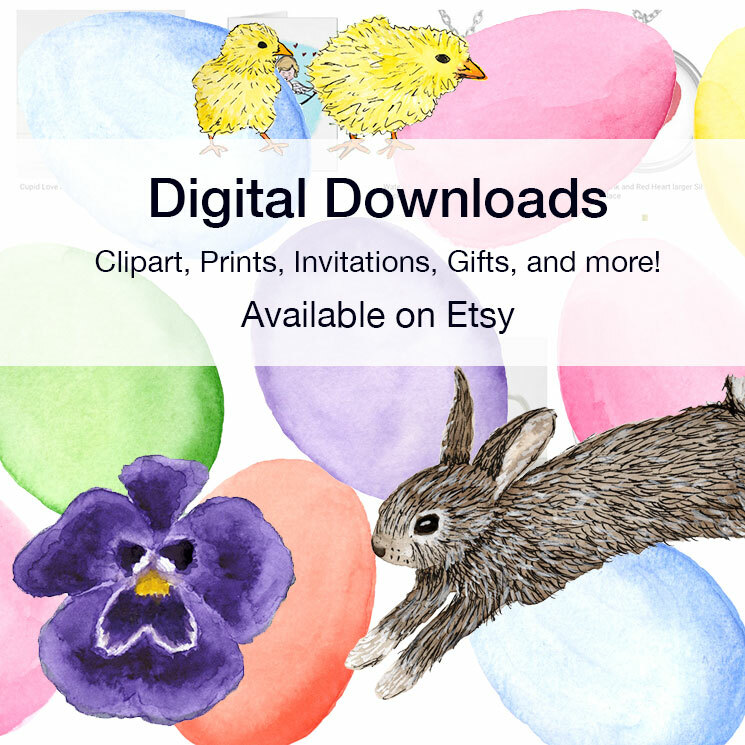 Categories: creative habits, Gouache, Inspiration, Watercolor | Tags: Advent calendar, Christmas illustration, Creative advent calendar, gouache, illustration, painting, Polar bear, Polar bear painting, sketchbook, watercolor, wreath | Permalink. Starting the year off right with a painting. 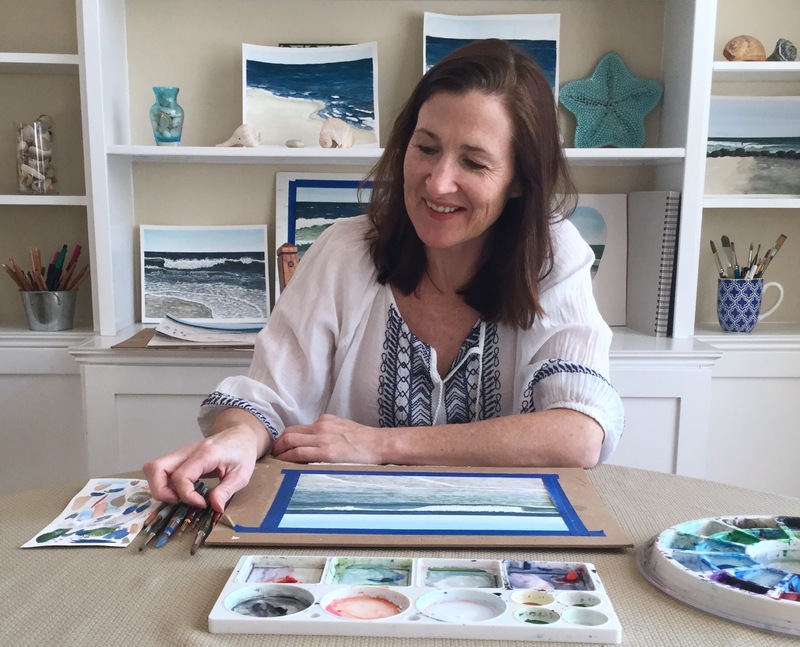 It felt so good, to set up yesterday – take my paints out, tape down the paper, fill the water – just go through the process. I’ve missed it. I’ve painted only sporadically during the holiday season. Setting up is kind of a calming. I had no idea what I wanted to paint, I just knew I wanted to get back into it. 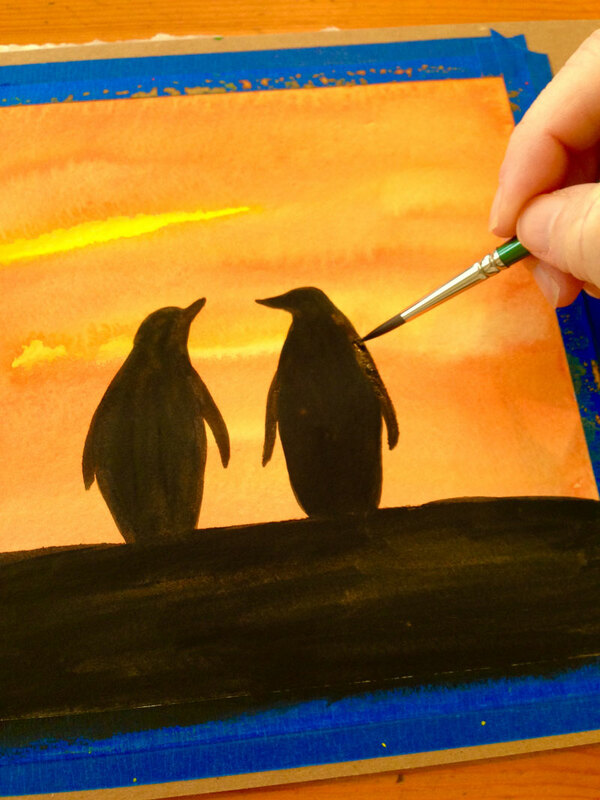 Penguins popped into my head, and orange sunset skies. I looked online for some reference photos and found a great one tagged #penguinlove. I wish I could find the photographer of the inspiration photo. It’s so awesome, I can’t really take credit for the painting. I usually try to take my own reference photos, but there aren’t any penguins here in NY! 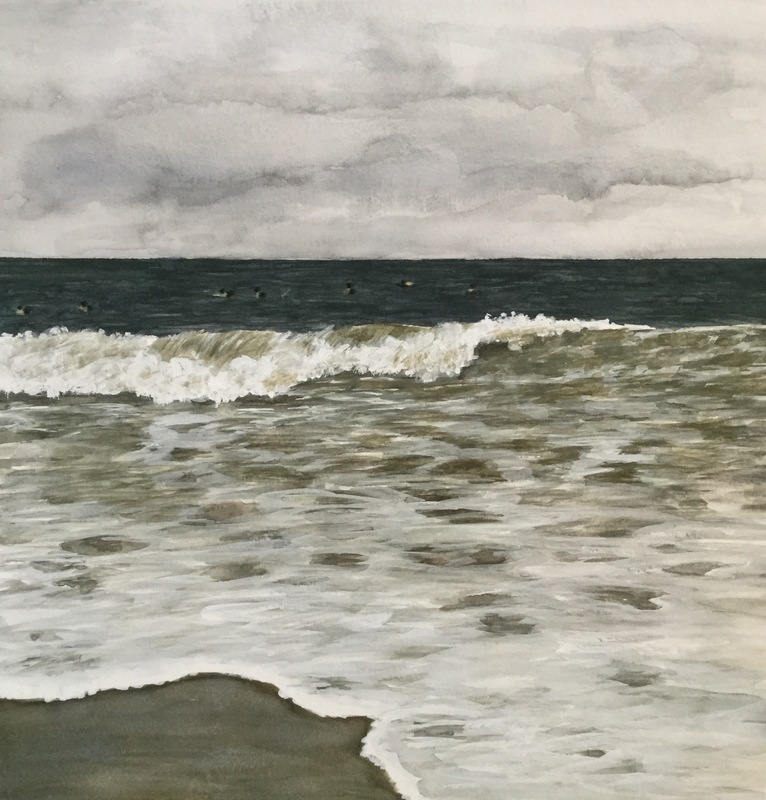 Categories: Gouache, Watercolor | Tags: Art, gouache, inspiration, New Year's resolution, painting, penguin love, penguins, resolution, watercolor | Permalink. Over the last couple of weeks, I’ve been reaching for the gouache paints. It started somewhat unintentionally when I decided to paint a nighttime snowy sky. At first I thought, I thought I had to keep the snow areas white (paper), so I was leaving white circles as I painted the black sky. Which was tedious! I was so happy when I started to flick white gouache paint onto the black and it was much more opaque than I was expecting. After that, I continued with this dark snowy sky in several of my paintings. I started playing with gouache paints back in June. 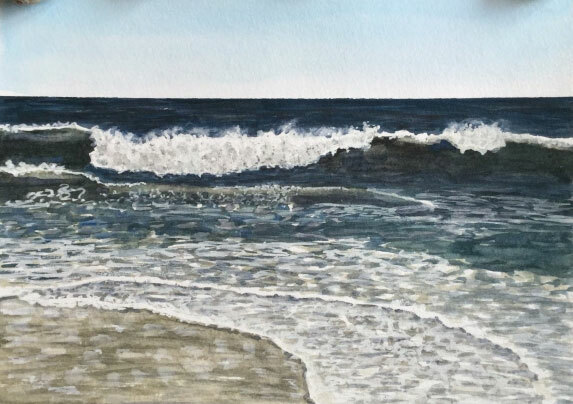 See the June posting, and learn more about gouache paints here. Categories: Gouache | Tags: Art, art projects, gouache, gouache painting, painting, painting a dark sky, painting snow, watercolor | Permalink. It’s officially Summer and the kids are home, which totally throws off my routine. As I struggle to get a new schedule together, a priority is having time to paint and draw. 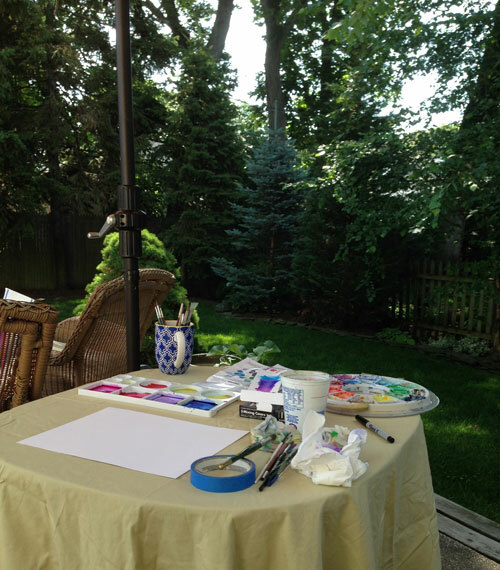 The other morning I dedicated to painting, and because it was so nice out, I set up on my back patio. Sometimes we can be so productive, if we just give ourselves the opportunity to do so. 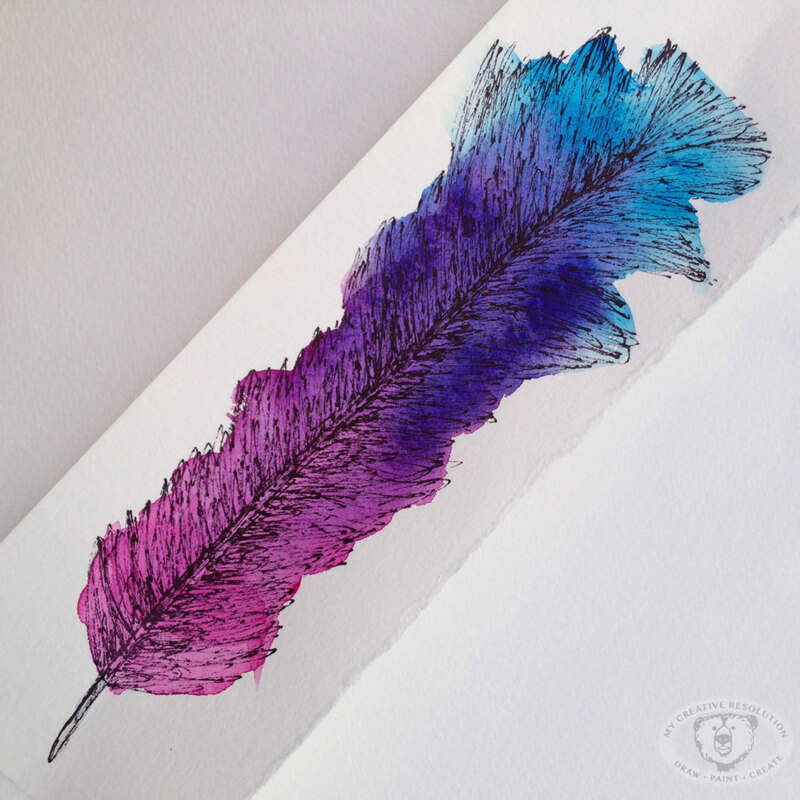 Categories: Inspiration, Watercolor | Tags: Art, feather, gouache, illustration, paint, painting, summer, watercolor | Permalink. I’ve wanted to try gouache paints for a long time. Since reading about Illustrators who used them, and having no idea what they were. 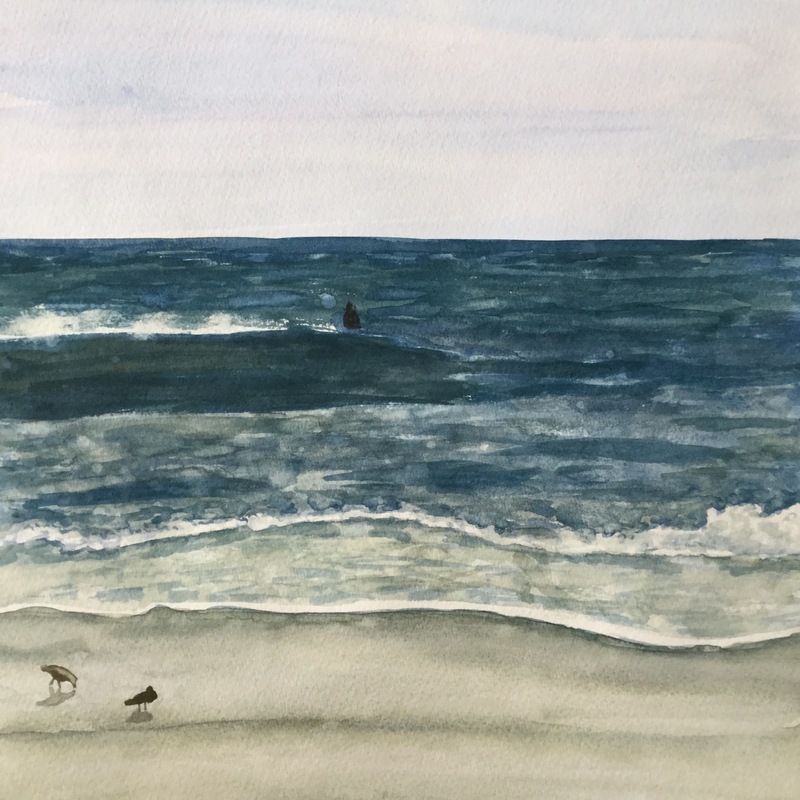 [Gouache paints are opaque watercolors. *] Two months ago I bought a little box of paints to try, but still hadn’t opened them! The other day on a whim, I decided to give them a try. 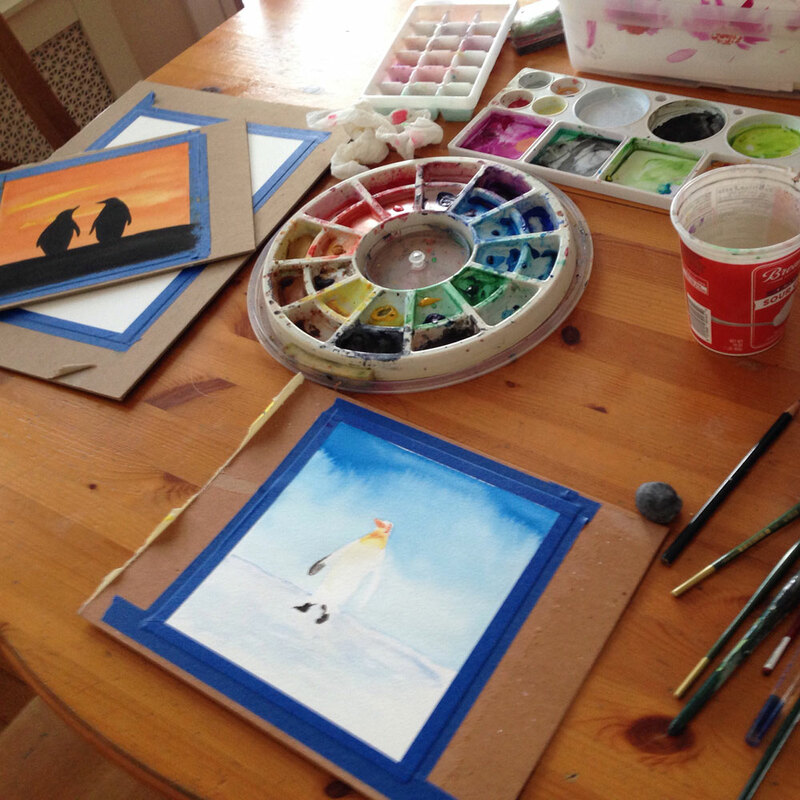 I’d heard gouache were like watercolor, but thicker, and can create more saturated colors. I was inspired by the sunset after a storm recently (see the photo below), so it seemed the perfect time to try them out. I’m not sure I needed to, but I used “India Ink” for the trees. I wanted as dark a black as I could get. In retrospect, I should have at least tested the gouache black to see if it could achieve this. I love the richness of the colors the gouache paints gave me! Gouache is an opaque watercolor paint. 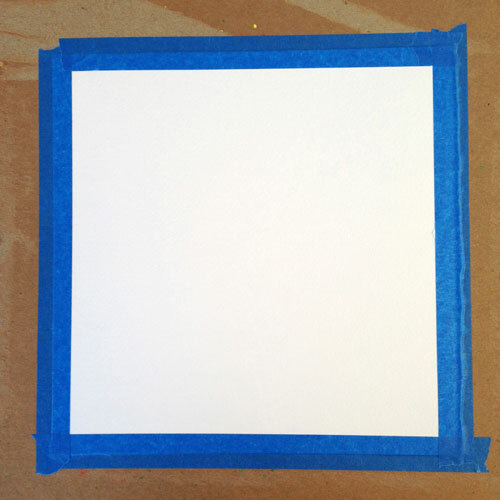 Whereas transparent watercolors allow you to see the “white” of the paper below the paint, gouache can be applied in solid colors. This allows an artist to paint in layers from dark to light. 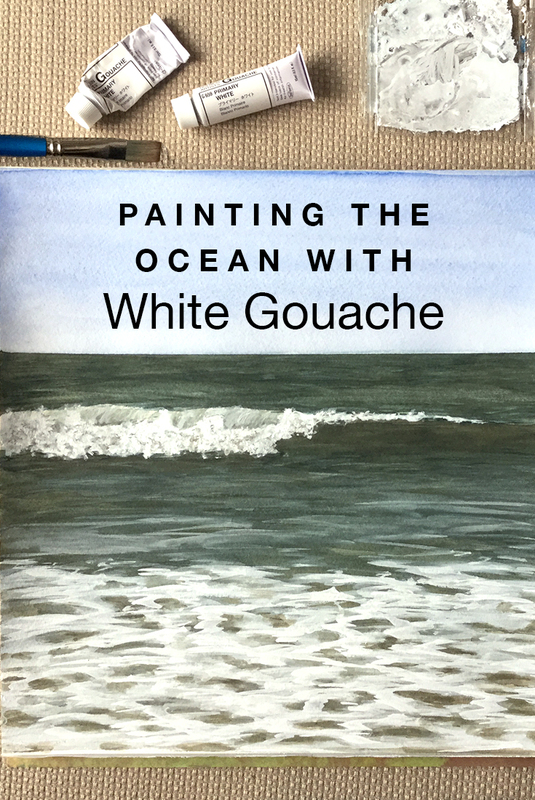 Gouache dries to a matte finish, which makes it easy to scan or reproduce electronically, since there is no glossy shine. Designer’s Gouache traditionally offers colors blended from a number of pigments, but some lines of Artist’s Gouache offer single-pigment colors. Student Gouache will have working characteristics similar to Designer’s Gouache, but with lower pigment concentration, less expensive formulas, and a smaller range of colors. 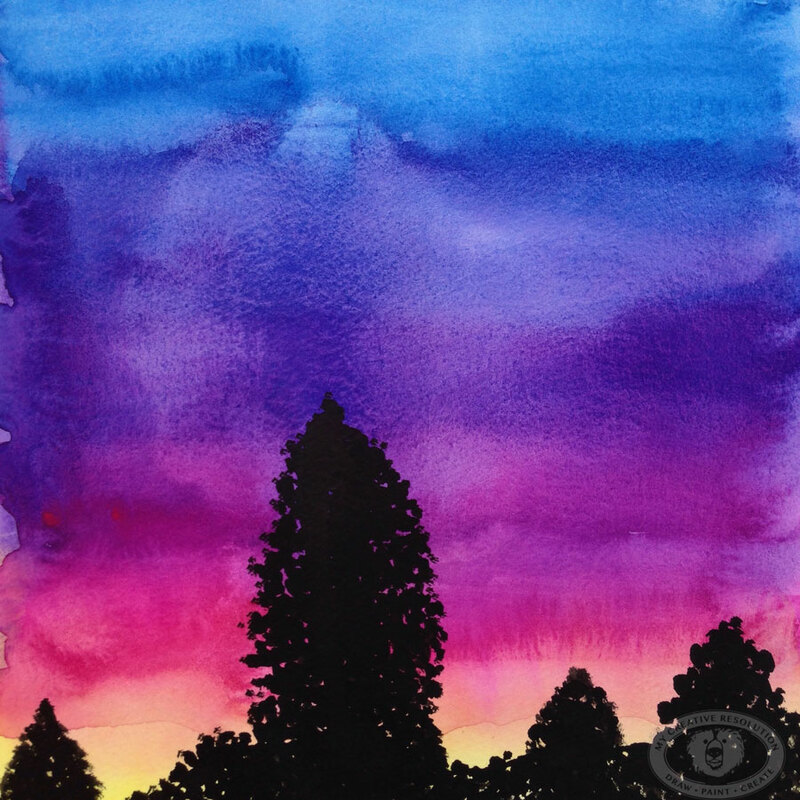 Categories: Uncategorized, Watercolor | Tags: Art, art projects, gouache, painting, sunset, tree, watercolor | Permalink.